Agence Iter France was entrusted with several missions, certain spectacular, others less visible but all crucial to the ITER Project. Were you aware that the soil bearing capacity in the Tokamak Building area had to be at least 100 tonnes per square metre? And that the total revegetation of the ITER site required about 3.5 tonnes of seeds? Or that France's total contribution to the ITER Project (directly or through Euratom) was in the EUR 1.4 billion range? 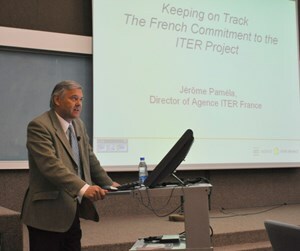 These are some of the figures that Jérôme Paméla, who was appointed Director of Agence Iter France (AIF) last December, presented to the public at last Thursday's Inside ITER Seminar on "The French Commitment to the ITER Project." A "specific entity" of CEA, AIF was established in June 2006, one year almost to the day after the ITER Members agreed on the Cadarache site. AIF was entrusted with several missions. Certain spectacular, like the preparation of the ITER site; others less visible but no less crucial to the project, like collecting the financial contribution of the host country and local governments. 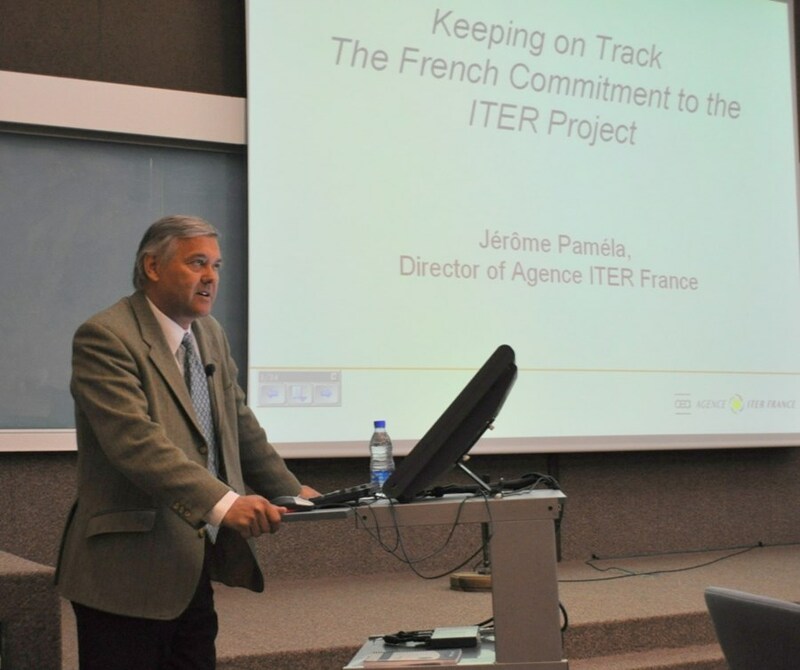 As the Site Support Agreement between ITER Organization, CEA and AIF is being implemented, providing ITER with a significant support from CEA, AIF has entered what Jérôme Paméla calls "a year of transition." In June, it will hand over the new JWS3 building to the ITER Organization; construction of the permanent Headquarters will begin in July and the entire ITER site will be officially transferred to the ITER Organization before the end of summer. Beyond 2010, AIF will continue to play a key role in the ITER Project as several items remain on its agenda, like site-related commitments; the coordination of the ITER Itinerary; the continuation of the Welcome Office activities; support to industry, and biodiversity issues. As a CEA entity, it will remain a "strong asset" that acts "as a bridge between ITER and CEA" and an efficient interface between the project and the Host Country.